Alicia H. Munnell is the Peter F. Drucker Professor of Management Sciences at Boston College’s Carroll School of Management. She also serves as the director of the Center for Retirement Research at Boston College. Before joining Boston College in 1997, Alicia Munnell was a member of the President’s Council of Economic Advisers (1995-1997) and assistant secretary of the Treasury for economic policy (1993-1995). Previously, she spent 20 years at the Federal Reserve Bank of Boston (1973-1993), where she became senior vice president and director of research in 1984. She has published many articles, authored numerous books, and edited several volumes on tax policy, Social Security, public and private pensions, and productivity. Alicia Munnell was co-founder and first president of the National Academy of Social Insurance and is currently a member of the American Academy of Arts and Sciences, Institute of Medicine, and the Pension Research Council at Wharton. She is a member of the board of The Century Foundation, the National Bureau of Economic Research, and the Pension Rights Center. 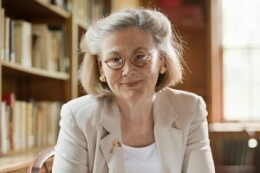 In 2007, she was awarded the International INA Prize for Insurance Sciences by the Accademia Nazionale dei Lincei in Rome. In 2009, she received the Robert M. Ball Award for Outstanding Achievements in Social Insurance from the National Academy of Social Insurance. In 2015, she chaired the U.S. Social Security Advisory Board’s Technical Panel on Assumptions and Methods. Alicia Munnell earned her B.A. from Wellesley College, an M.A. from Boston University, and her Ph.D. from Harvard University.